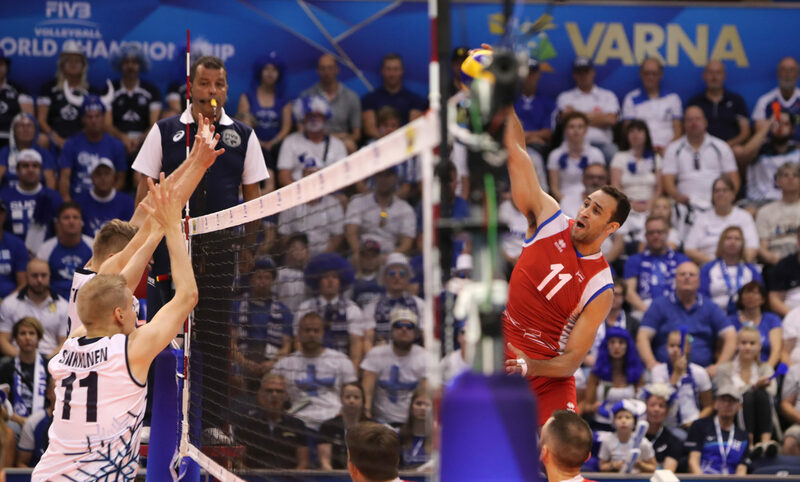 After 4 sets on Sunday in Puerto Rico’s Pool D matchup against Finland, which was a must-win for the Puerto Ricans to advance, 27-year old Puerto Rican opposite Maurice Torres already had 35 points. This meant that hee needed just 4 more in the 5th-set tie breaker to break the all-time World Championship Record. And as Puerto Rico’s hopes of advancement in that 5th set faded, Torres was only able to score 3 points (Puerto Rico had only 10 in the set) to come up 1 point shy of the all-time mark. That all-time record of 38 was set by his countrymate Hector Soto in 2006. Soto was an offensive juggernaut. At those 2006 World Championships, he averaged 24.6 points per match, scoring 271 total in 11 matches – in spite of his team finishing just 12th overall. That’s the most ever scored at the World Championships since the introduction of the rally-scoring system. He played in the Puerto Rican league as recently as the 2016-2017 season (at 38 years old), and is the all-time scoring leader in league history. Torres now has the 2nd-best single game scoring output in World Championship history, however, knocking Soto out of the #2 spot. Soto has scored 30 points-or-more in 5 World Championship games. Nobody else has done so more than twice. It’s only been done by 7 players, and on 13 occasions, since rally scoring was introduced in 2002. Mariusz Walzly did it twice for Poland in 2014, including in the Final 6 against Brazil, en route to a title for Poland. Players who score 30 points have an 8-5 record in that match.